This article reviews several retrospective case series and reported adverse events regarding common ocular adverse effects related to systemic therapy. 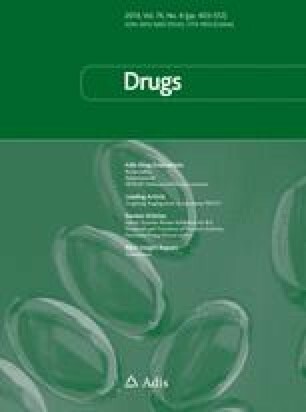 It is not intended as a comprehensive summary of these well described adverse drug reactions, nor is it intended to cover the complete spectrum of all ocular adverse effects of systemic therapy. Many systemic drugs may produce ocular toxicity, including bisphosphonates, topiramate, vigabatrin, isotretinoin and other retinoids, amiodarone, ethambutol, chloroquine and hydroxychloroquine, tamoxifen, quetiapine, cyclo-oxygenase (COX)-2 inhibitors, erectile dysfunction agents and some herbal medications. For this review, the certainty of the adverse effect profile of each medication was evaluated according to the WHO Causality Assessment Guide. A certain relationship has been established for pamidronate and alendronate as causes of scleritis, uveitis, conjunctivitis and blurred vision. Topiramate has been established as adversely causing symptoms consistent with acute angle-closure glaucoma, typically bilateral. Vigabatrin has been shown to cause bilateral irreversible visual field defects attributed to underlying medication-induced retinal pathology. Isotretinoin should be considered in the differential diagnosis of any patient with pseudotumour cerebri. Patients taking amiodarone and hydroxychloroquine should be monitored and screened regularly for development of optic neuropathy and maculopathy, respectively. Sildenafil has been reported to cause several changes in visual perception and is a possible, not yet certain, cause of anterior ischaemic optic neuropathy. Patients taking tamoxifen should also be monitored for development of dose-dependent maculopathy and decreased colour vision. COX-2 inhibitors should be included in the differential diagnosis of reversible conjunctivitis. Several herbal medications including canthaxanthine, chamomile, datura, Echinacea purpurea, Ginkgo biloba and liquorice have also been associated with several ocular adverse effects. It is the role of all healthcare professionals to detect, treat and educate the public about adverse reactions to medications as they are an important health problem. This study was supported in part by an unrestricted grant to Casey Eye Institute from Research to Prevent Blindness, New York, NY and by the National Registry of Drug-Induced Ocular Side Effects (www.eyedrugregistry.com). This report did not require approval by the OHSU Institutional Review Board. We would like to thank Genevieve Long for her assistance in the editing and modifications of this paper. The authors have no conflicts of interest that are directly relevant to the content of this review.